Sterling Silver long 58mm drop earrings set with immitation pink pearl stones and pink crystal gemstones. Silver 925 earring droppers with earring hooks set with amazing clear pink see through gem crystal stones and pearl look created stones. 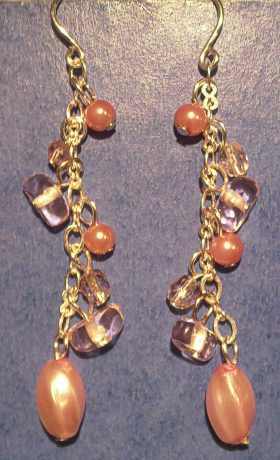 Designer pearl look and crystal pink stone long hanging drop earrings.